Do you love Yorkshire Terriers? 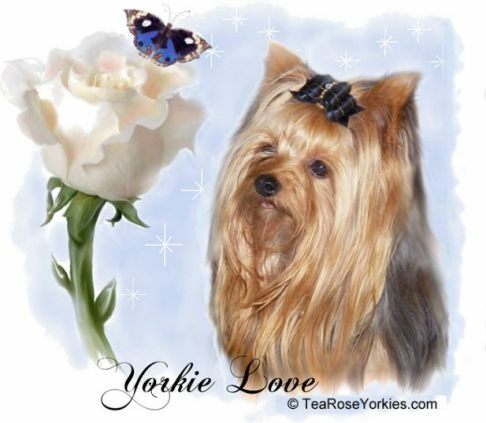 Visit the Yorkie lovers gift shop section for a variety of YorkshireTerrier related gift ideas and products for yourself or that special someone in your life. Show off your enthusiasm for this precious toy breedwith unique designed products including yorkie jewelry, yorkie air freshners, yorkie lovers desk lamps, yorkie watches for men, women and children, yorkie lover apparel, collectibles, yorkie coffee mugs, wall clocks, yorkie throw pillows, yorkie mouse pads, magnets, buttons, calendars, yorkie framed prints, t-shirts with yorkshire terrier with yorkie sayings "I love Yorkies" and other cute sayings.